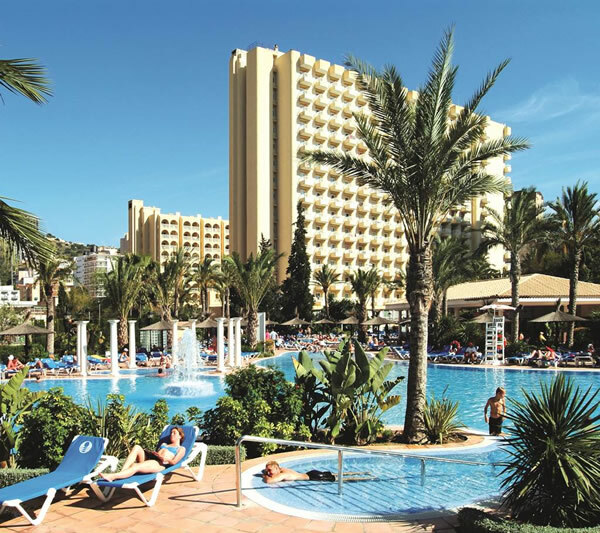 The 3 star Sol Pelicanos Ocas hotel is situated close to Benidorm’s long sandy Levante beach. Shops and bars are within easy reach and it is only approximately 1.5 miles from the resort centre. Benidorm is the ultimate choice for a lively holiday in the sun, attracting many families, couples and small groups every year. Transfers take around 40 minutes to make the 35 mile journey from Alicante airport. Many scenes from the hit TV comedy series, Benidorm, were filmed at these two sister hotels! 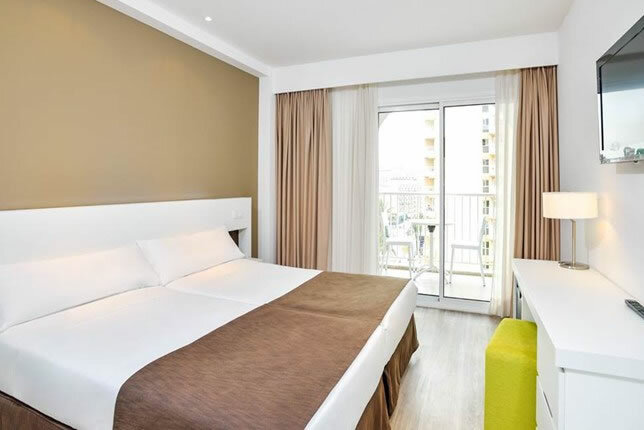 The Hotel Sol Pelicanos has 476 guest rooms and its sister hotel the Sol Ocas has 318; all rooms are fully equipped with satellite TV, air conditioning and most have a terrace/balcony (certain family rooms do not have a balcony). The Bedrooms are modern, are a good size, decorated in an elegant cream and white with furniture of colours that range from bright yellow to deep claret and modern prints on the walls. The hotel Sol Pelicanos/Ocas features one restaurant in each building that serves extensive main meals in a buffet style, including a 'Flinstone' area in the Pelicanos Restaurant designated just for the kids; light meals/snacks and drinks are available throughout the day from the hotel's snack bar, lounge bar or either of the two outside poolside bars. A swim-up pool bar is also available in the high season. All inclusive is a popular option at the hotel and this includes; Meals: Breakfast, Buffet, Restaurant, Daily: 08:00 - 10:30. 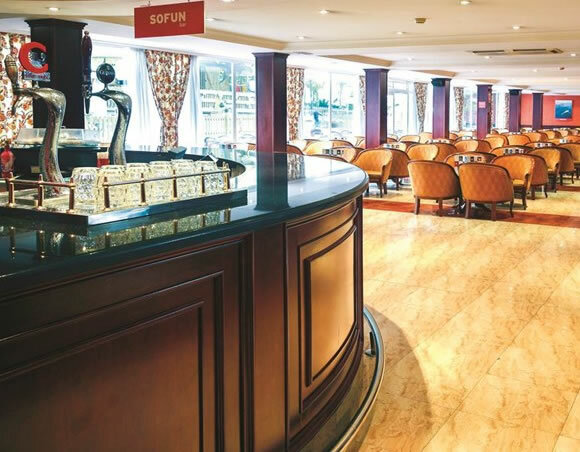 - Lunch, Buffet, Restaurant, Daily: 13:00 - 15:00. 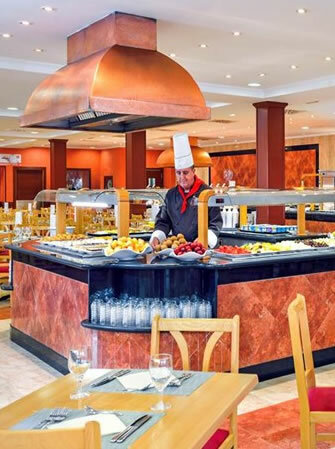 Dinner, Buffet, Restaurant, Daily: 18:00 - 21:30. - Snacks, Restaurant, Daily: 10:30 - 13:00. - Snacks, Restaurant, Daily: 15:00 - 18:00. - Snacks, Restaurant, Daily: 21:30 - 23:00. Drinks: Locally produced Alcohol; Locally produced non Alcohol, Bar, Daily: 10:00 - 00:00. Details and timings are subject to change please check with us at the time of booking. The hotel has family fun all figured out there are two children's pools and a children's playground. 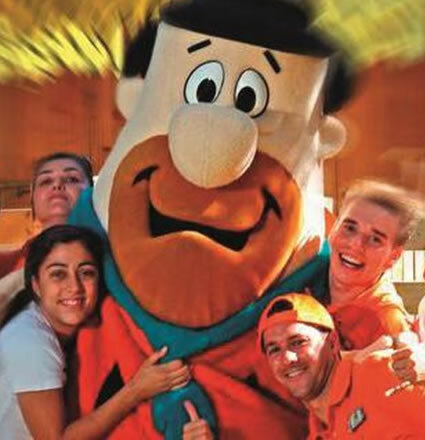 The Sol Pelicanos/Ocas also offers children the use of 'The Flintstones Land' which is open in the summer (1st June to 30th September) including, a club designed for children ranging from 5 years to 12 years old, that provides them with their own exclusive room for fun and activities. There is a multitude of sports activities including, mini golf, wall climbing, zip line, trampolines and much more. For grown ups there is a chance to try your hand at art (handicrafts workshops) and cooking with the family and professional monitors. The hotel also runs a varied entertainment programme throughout the summer that includes live shows. The Hotel provides a range of facilities to provide you with everything for a great holiday including: a 24 hour reception, night time private security throughout the hotel, Internet Corner (*), WiFi Internet in the Lounge Bar (*), Medical services - minutes from the hotel (on request) *), Laundry and ironing service(*), Public telephones (*), Private parking (limited spaces - not guarded) (*), Flintstones gift shop', Sunbeds in the pool area. * Charges may apply.